Healing Holidays is the UK’s leading independent spa and wellness specialist, with a dedicated and highly knowledgeable team who visit and extensively review the world’s very best spas, yoga retreats and medical spas. We’re constantly adding fabulous finds to our impressive portfolio, but crucially we still only ever give recommendations based upon our first-hand experiences. 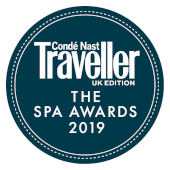 We are proud to work exclusively with both Conde Nast Traveller and Tatler on their annual Spa Guides, and we pride ourselves on offering a tailor-made service that ensures the very best deals and value for money for our clients. Some of the retreats you can find on our website are exclusive to us, which means that our price will not be beaten. So, call +44 (0)20 8131 1453 today and take the first step towards feeling like yourself again. It may seem obvious, but not many spa operators can make this claim. We are an unbiased filter and we never accept payment from anybody to be featured on our website - they appear on merit alone. We can therefore honestly say that we recommend only what is right for you. Our team are true experts in their field – we only sell wellness, and we only recommend those properties which we have tried and tested ourselves. Making regular spa visits ensures that our expertise remains up-to-date, making sure that what we are offering you really is the very best. Being the market leader allows us to negotiate the best rates, and as a Preferred Partner of the world’s leading carriers, including British Airways, guarantees us the lowest air fares. Together this means that we are able to offer a best price guarantee on any like-for-like itinerary. Everyone can blow their own trumpet, but don’t just take our word for it. We are extremely proud to have been crowned, amongst numerous awards, as the World’s Best Spa & Wellness Tour Operator, as well as the UK’s Favourite Specialist Tour Operator, high praise indeed.